Ulster Squash is committed to improving the standard of refereeing with a view to helping every squash player become a better, more confident referee.On Monday 13th February 2013 we hosted a unique Squash Refereeing Workshop in Belfast Boat Club. 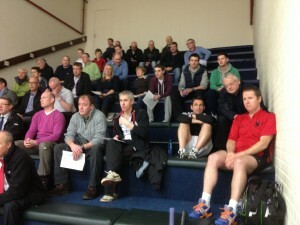 It was an opportunity to watch some of our top players in action, refereed by Ireland’s No. 1 referee – Joe Ruddy.The event was well attended, with attendees from many of our clubs. 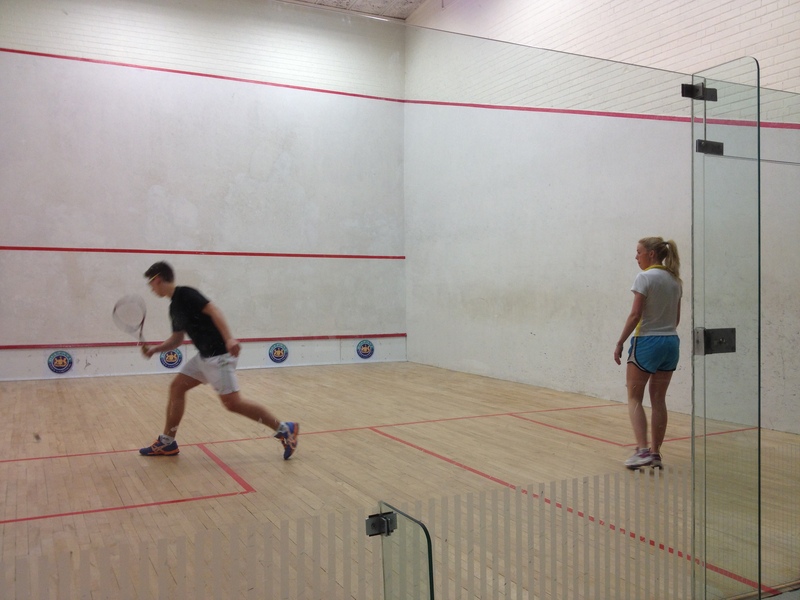 Everyone was entertained by some excellent squash from Zoe Barr, Joshua McVeigh, Adrian Leeson & David Ayerst. 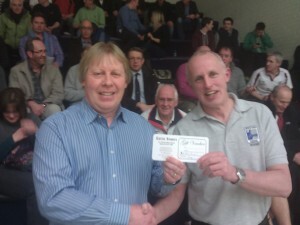 Joe Ruddy shared his wealth of refereeing experience, both during the games and also in the question & answers sessions that followed.In addition to the entertaining and educational content of the workshop, a draw was held for a £50 sports voucher. The draw prize was a joint contribution by Gotto Sports & Ulster Squash and the lucky winner was Stephen Hanna of Lagan Valley Squash Club. It was agreed by all concerned that the evening was deemed worthwhile and successful. As part of our Club Level Refereeing Program we plan to hold further training courses, leading to qualification as Ulster Squash Registered Club Referee. 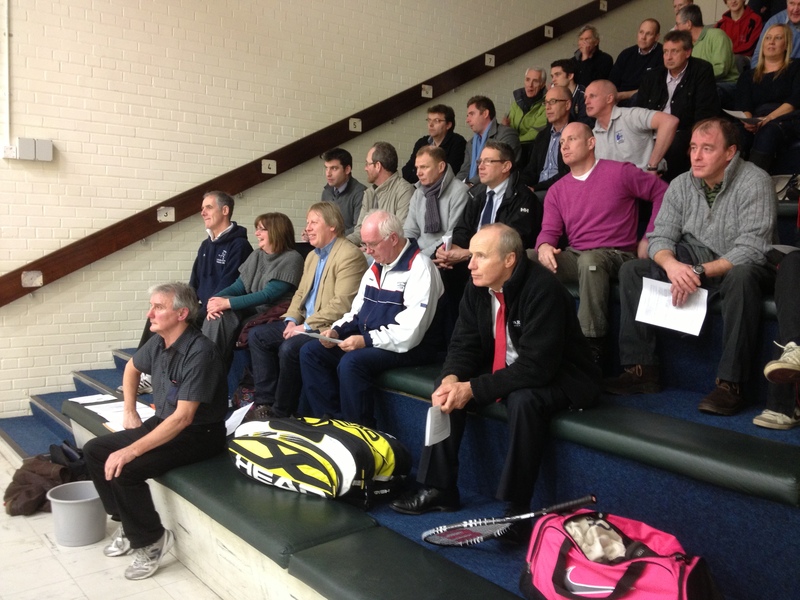 For updated information on refereeing courses please revisit this page from time to time.